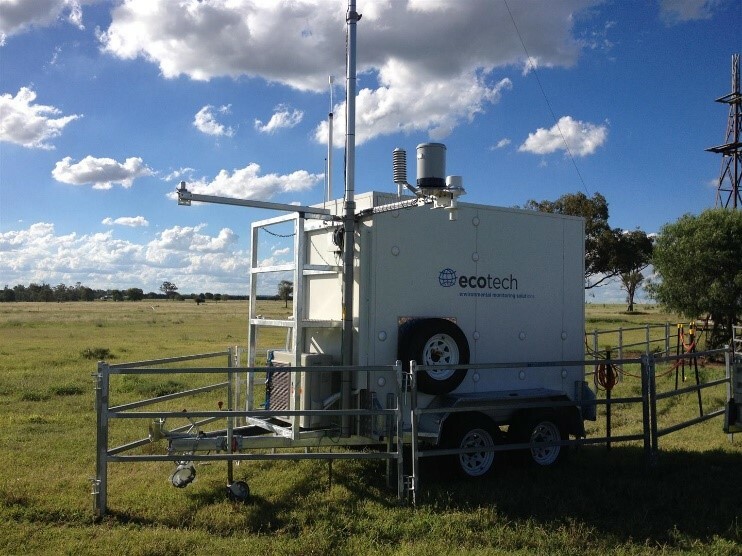 ECOTECH offers a wide range of shelter types and configurations that can be customised to suit your environmental monitoring needs. We have experience in all kinds of environments from the tropical climate of Malaysia to the freezing cold of Antarctica. 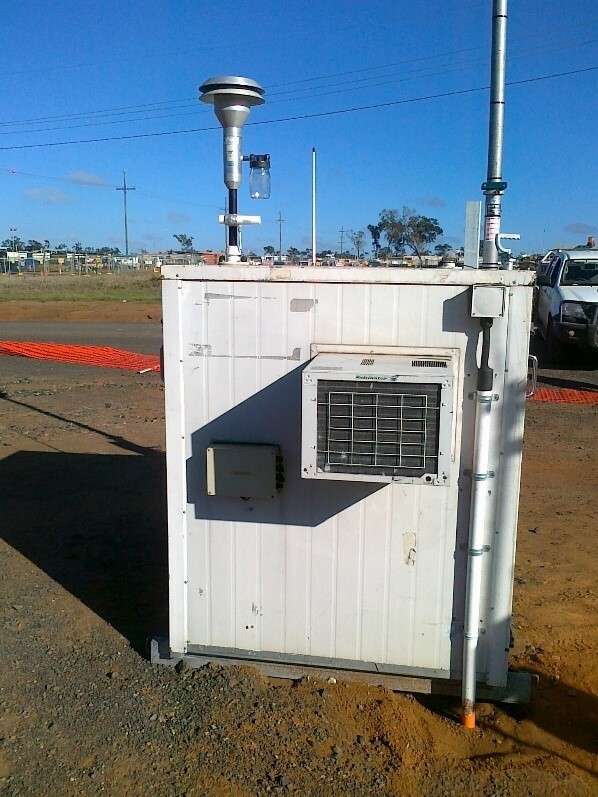 Shelters can be equipped with Serinus® Analysers, Aurora™ Nephelometers, Dust monitors and a variety of other instruments to measure air quality in real-time. ECOTECH compact shelters are fitted with air conditioners for maintaining a stable and consistent temperature, and power conditioners for ensuring the best performance from Serinus® Analysers and other ECOTECH equipment. The shelters are fully insulated and available with front and/or rear doors. Compact monitoring shelters are ideal when only a couple of analysers are required and there is minimal space available on site for large shelters. Relocatable walk-in style shelters are ideal for compliance monitoring applications where multiple gases are required to be measured. These shelters are designed so that they can be transported in shipping containers and thus can be sent to all parts of the world or locally on flatbed trucks. Shelters feature one or more air conditioners, power conditioners, desks, draws and can be customised for individual requirements. 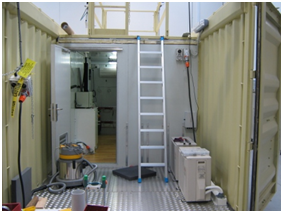 Relocatable walk-in shelters can be fitted with a 10-metre mast for mounting of meteorological sensors and feature roof platforms, providing safe, easy access to sample inlets and sensors. 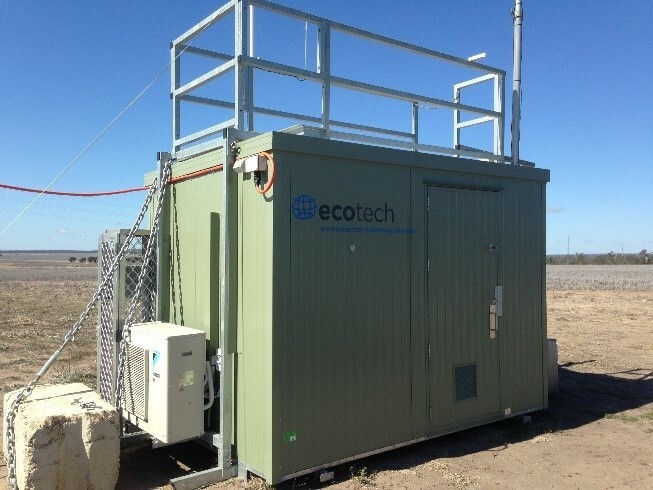 ECOTECH fully fits out the monitoring shelters with racks, air conditioning, power conditioners and UPS (uninterruptible power supplies) as required. ECOTECH offer walk in shelters fitted into 20-foot shipping containers. These shelters are custom built and feature all the advantages of the standard relocatable walk-in shelter, but with the enhanced strength of the shipping container. They are ideal for short or long-term monitoring programs. The container shelters are designed so that they are extremely secure with lockable doors. The container is split into two compartments: an outdoor compartment is ideal for mounting of air conditioner compressors and gas cylinders; the internal section houses the instrument rack and provides a suitable area for technicians to work. 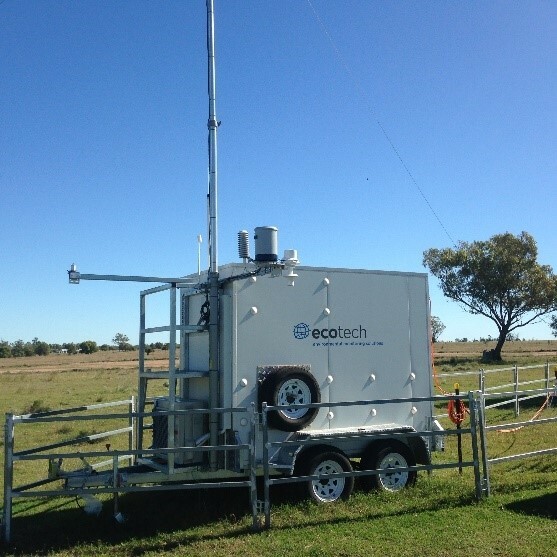 ECOTECH offers mobile systems configured as a towable caravan, suitable for mounting onto the back of a truck or alternatively built into the truck’s cabin. Shelters fitted to the back of a truck provide the perfect rapid-deployment mobile monitoring system. 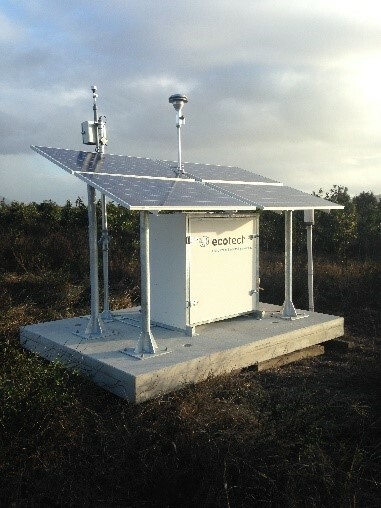 ECOTECH can fully integrate solar-powered solutions for a variety of monitoring instruments and applications. We have engineered solar powered solutions for particulate (dust) monitors such as: compliant BAMs (Exactus BAM, Spirant BAM, BAM 1022), non-compliant realtime dust monitors, weather stations and water monitoring stations. More exotic solar powered systems have been created for our range of Serinus® Analysers such as the H2S, SO2 and NO2 analysers with gas calibrators and refrigeration boxes. Other unique systems include our Greenhouse gas system which integrates an LGR CH4, CO2 and H2O analyser in a solar platform. Just ask us what’s possible.